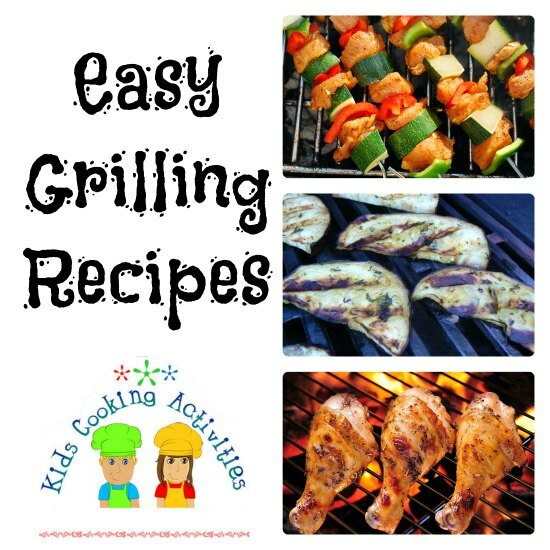 Have you ever thought of engaging your kids in the kitchen with some fun and easy grilling recipes? Some of you might panic with the thought because of the mess they can create in your kitchen. Cooking is an art and it needs a disciplined approach. Your children will love to maintain discipline if they find the cooking process enjoyable and recipes easy to cook. There are some grilling ideas that make good recipes for the kids to cook. When kids think of grilling, they usually think of an enjoyable and fun -filled experience. Generally, when we hear about the grilling recipes- hot dogs, burgers, meat, etc. comes to our mind. How about stepping away from the conventional ideas and try something healthier and tastier with vegetables grilling recipes? Give your kid an apron and a hat and let them try the following grilling recipes. Grilling vegetables is comparatively easier for the kids as they do not have to think much about overcooking. The flavor and taste of the grilled vegetables make the child more excited to enjoy cooking. Your kids can try any type of vegetables and grill them to prepare some exotic food menus. Take potatoes and ask your kids to slice them in the shape of chips. The pieces should be long and thin before they are being put on grill to get that crispy taste. Another easy grilling recipe with potatoes can be wrapping them up in a foil without slicing and grilling for about an hour. Corn on the cob or corn-stick is quite popular and easier for your kids to prepare. They just need to take off the husks and grill it for some ten minutes. They have to keep rotating the corn on the cob while grilling until the color turns golden. Grilled mushrooms make easy kids cooking recipes. Stock some small mushrooms and skewers. 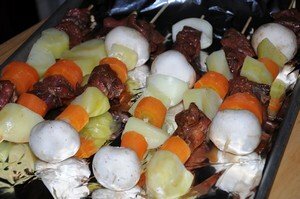 Ask your kids to take the small mushrooms and strung them on the skewer to grill. Portabella mushrooms can also make easy grilling recipes for kids. They can cut the portabellas into thick pieces and grill or can put the whole portabella into grill like a burger. Zucchini, eggplant, and onion can also make easy cooking recipes. These grilling techniques are simple as the child just need to cut the vegetables into slices of their preference and put them on the grill. It gets ready within eight to ten minutes. Grilling vegetables become easier if you marinate them. Ask your kids to marinate the vegetables with a slight brushing of vegetable oil, a pinch of salt and other seasoning as per their preference. 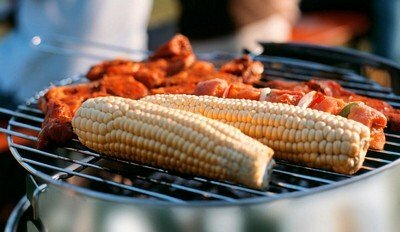 This will bring out the best flavor and the kids will love the experience of learning easy grilling recipes. But above all, make sure you watch over their shoulders and keep everything in place. You should avoid high temperature grills such as TEC infrared grills, as these units can reach over 700 degrees Fahrenheit in less than 5 minutes and they do not support child lock safety features. While children might not be aware of it, getting too close to the hot plate can be very dangerous and carelessness can easily lead to accidental burns. 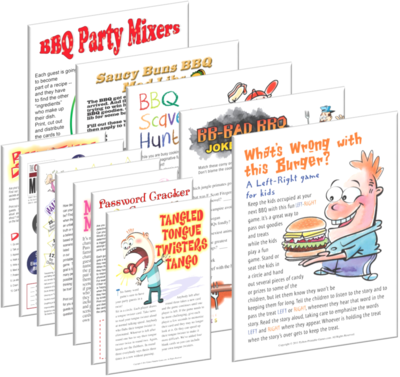 Add some printable game fun to your BBQ. Mix together in a large bowl the butter, lemon juice, rosemary, thyme, marjoram, pepper and garlic. Pour the mixture into a large zip lock bag. Place the shrimp in the bag and seal tightly. Turn the bag over a few times to make sure the shrimp are covered well with the marinade. Allow the shrimp to marinate at room temperature for 1 hour. Run the shrimp on a wooden skewer. Cook the shrimp about 6 minutes turning over after 4 minutes. Grilling with a skewer can make for faster grilling and tasty meats. Bamboo skewers are great for grilling seafood but should be soaked in water for 30 minutes to keep them from burning on the grill. Tear off a big sheet of foil. Remove tortillas from plastic wrapping. Stack the tortillas on top of the foil and fold closed, then place the foil packet on a grate on the campfire or on grill. Flip the packet over once or twice, heating for about 5 minutes or until the tortillas are warm. Slide packet over to coolest area of campfire just to keep warm. Open the foil and remove one tortilla, setting it on a plate, closing foil to keep the rest warm. On the tortilla, sprinkle 1/4 of the chips and 1/4 of the berries in the center. Fold in the sides and roll up tight burrito style; set aside on plate. Brush each tortilla roll with melted butter, then place directly on grate on campfire over slow coals or on the grill - not too hot. Cook about 2 to 3 minutes, then flip and cook 2 to 3 more minutes or until chocolate melts and you get grill marks on the burritos. Remove to a serving plate. You can brush with more melted butter if you wish. Stir together in a separate small bowl the sugar and cinnamon and sprinkle over the burritos. Serve warm. You can top with a little whipped topping and fresh berries if you like. 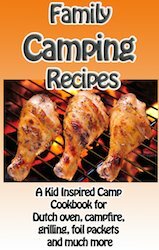 Dive into a whole lot more cooking information and 90 camping inspired recipes! Try some easy grilling recipes and move beyond hamburgers and hot dogs!